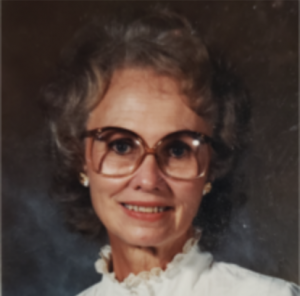 Barbara Ann Budge Howell, 94, passed away peacefully at her home in River Heights on April 10, 2019. She was born on July 22, 1924 to Dr. Scott M and Margaret Gibbs Budge. She grew up on West Center Street in Logan. She said it was a wonderful place to grow up with great friends and neighbors. She attended the Whittier and Ellis Elementary Schools, Logan Junior High and Logan High School. After the war broke out she attended Utah State Agricultural College and graduated with a degree in English and minors in French, art and chemistry. Later she received her teaching certification and her master’s degree from Utah State University. After college she met and married Richard L. Howell who was just home from the war. He was so handsome in his military uniform. He was her best friend and fishing companion. They were married on September 28, 1946 and were later sealed in the Logan LDS Temple. They are the parents of six children, Scott (Tricia Anderson), Suzanne (Roger Hunzeker), Leslie Howell, Maggi (John Rutledge Sr.), Shaun Howell, and Jaime (Sam Lindley). Barbara Ann has 19 grandchildren and 15 great grandchildren. She was a great educator. She taught many children and taught teachers how to teach children. Education was her passion but fishing was a close second. She spent many wonderful hours fishing the streams with her sweetheart. Barbara Ann is survived by her children and grandchildren, a niece, 2 nephews, a sister in law Barbara Budge, and her loyal sister Phyllis (Fee) Budge Broadbent Holmgren. She is preceded in death by her mother, father and brother. She is dearly loved by her family and will be greatly missed.